Rust and oxidation inhibitors help to prevent the production of abrasive particles from rust formation, and deposits, varnishes and sludges from oil breakdown, which can damage equipment surfaces and seals, and block filters prematurely. 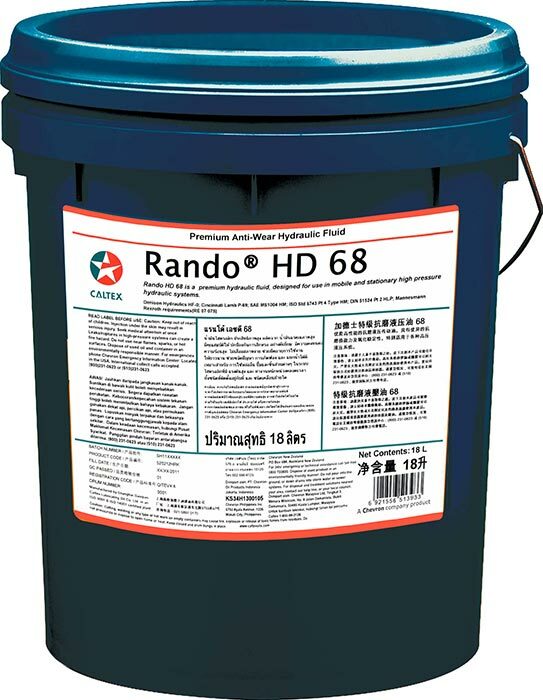 Good hydrolytic stability and water separation characteristics promote excellent filterability in the presence of water contamination. Good anti-foam and air release properties help ensure smooth operation and system efficiency.